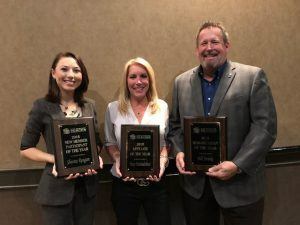 Two members of the Miloff Aubuchon Realty Group team accepted awards for excellence during the general membership meeting of the Royal Palm Coast Realtor Association. The event, held at Broadway Palm Dinner Theatre on January 11th, included members from Cape Coral, Fort Myers, and South Fort Myers. Bill Steinke, Director of Sales, was recognized with the Humanitarian of the Year Award. Bill is a volunteer officer with the Lee County Sheriff’s Department, an advocate for Bikers for Babies, and is involved with many other local organizations that give back to the community. 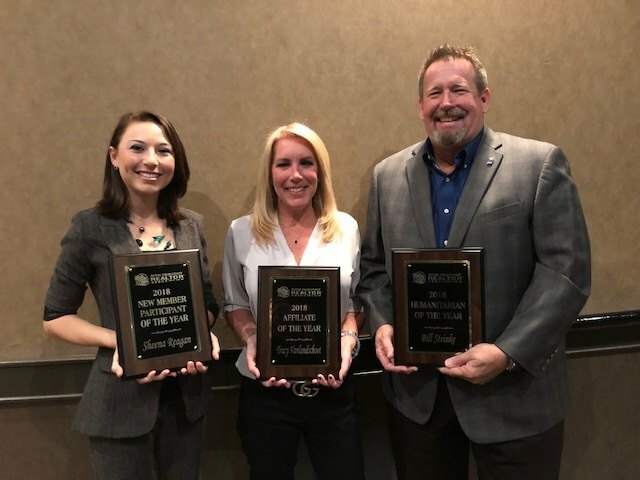 Sheena Reagan received recognition as New Member of the Year for her involvement during her first year as a Realtor. Sheena was 2018 Chair of the Royal Palm Coast Realtor Association’s Young Professionals Network (YPN) and the 2018 Florida Director of the Communications Committee.